Xenoxoic Tales is the classic story of a post-apocalyptic future where mankind has retreated to vast subterranean cities to escape a world ravaged by environmental calamities. Centuries later, Upon emerging from their underground dwellings, they find their civilization is gone-replaced with the most fearsome beasts to ever walk the Earth... Dinosaurs! Mark Schultz delivers an epic adventure tale, one complete with romance and intrigue. 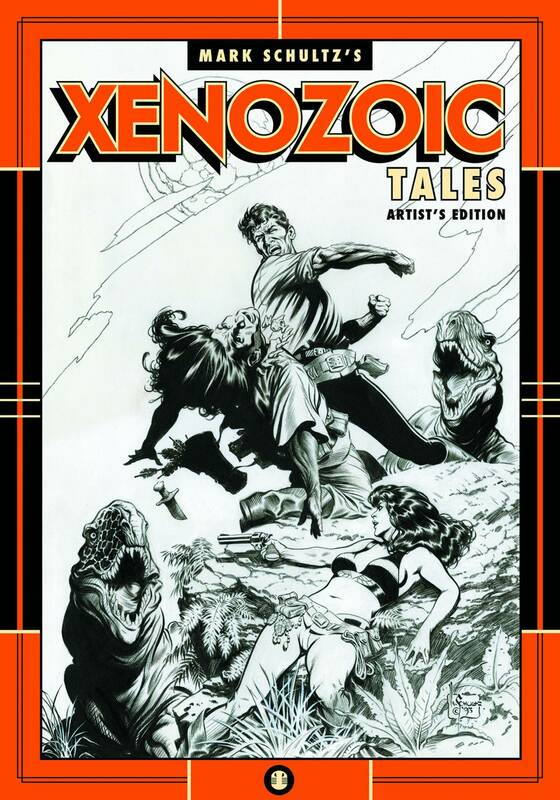 Collecting issues 9, 10, 11, 12, 13, and 14 of Xenoxoic Tales, the final six chapters (so far), and with Schultz at the peal of his artistic powers. Al Williamson, Frank Frazetta, Roy Krenkel and Wally Wood would have been proud!